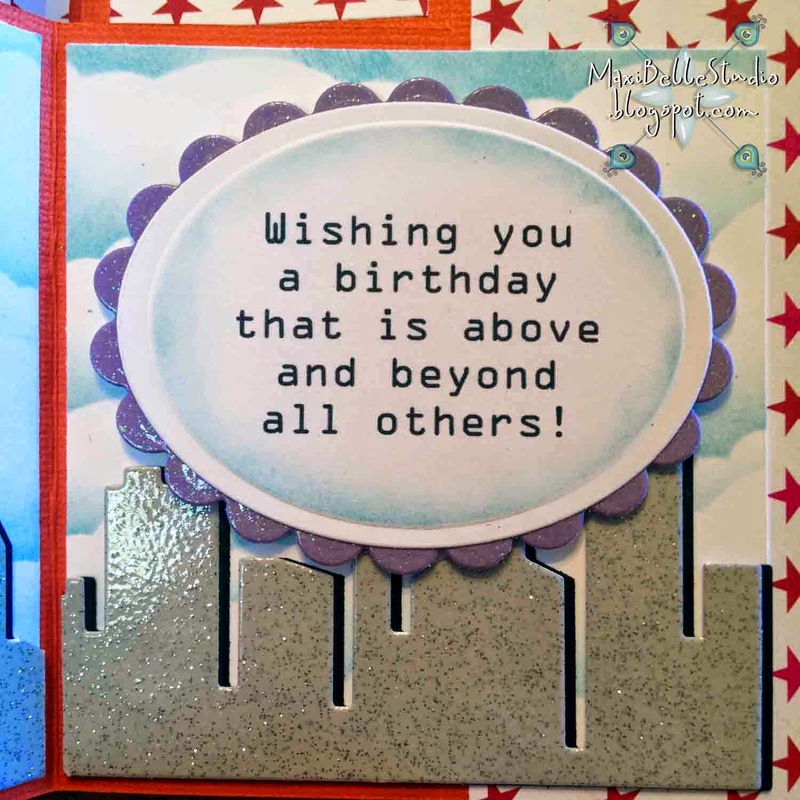 Dies R Us: Above & Beyond! Greetings Die R Us friends. I'm back with another superhero card again this week. If you likeed my little super star from last week then you should love this one too. 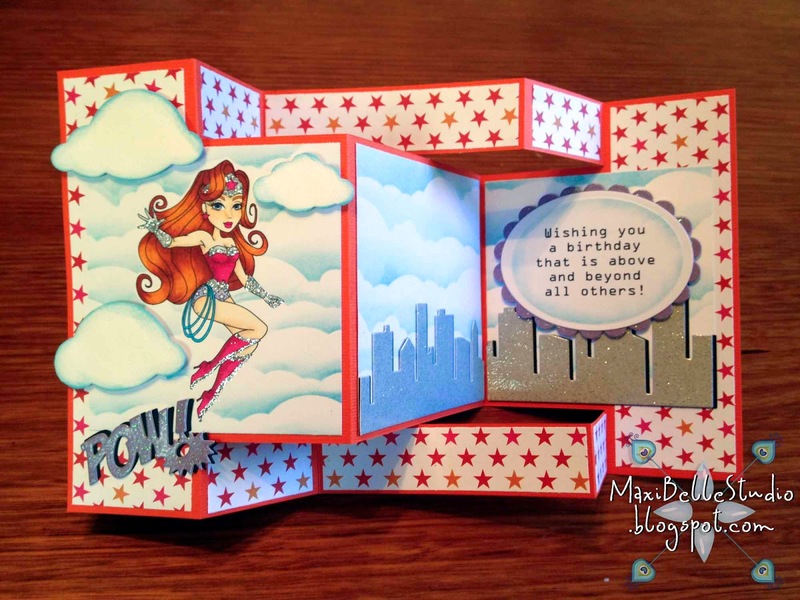 This is my first effort at a tri-fold shutter card too and I love how easy it was to create! Here is my card closed up. It was cut from a 6" x 12" piece of cardstock and fits nicely into a standard C6 envelope. 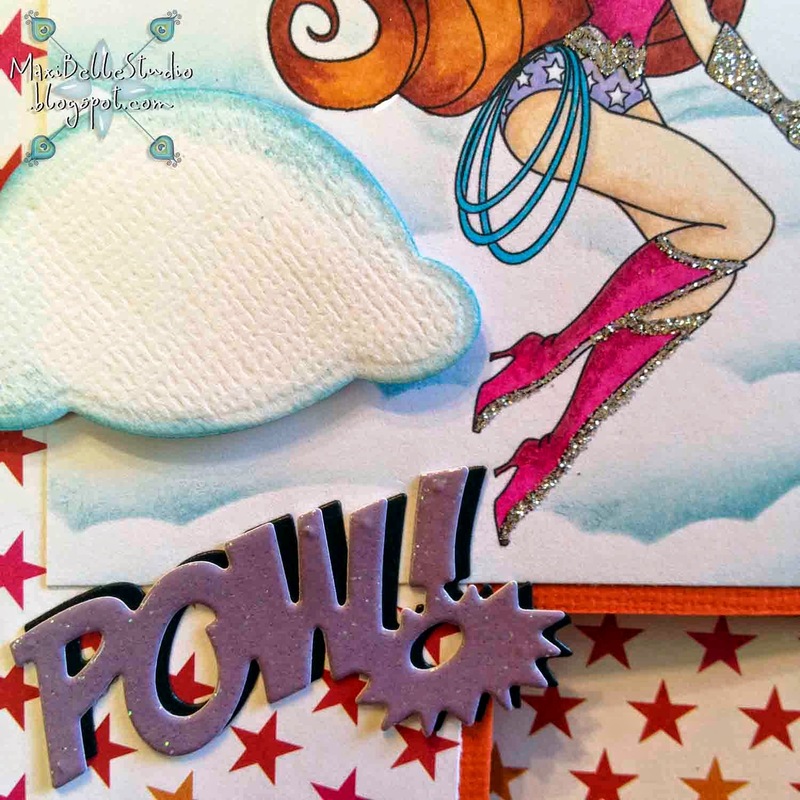 I used the Impression Obsession Clouds not only as an embellishment, but also as a masked the background. How awesome does it look?! 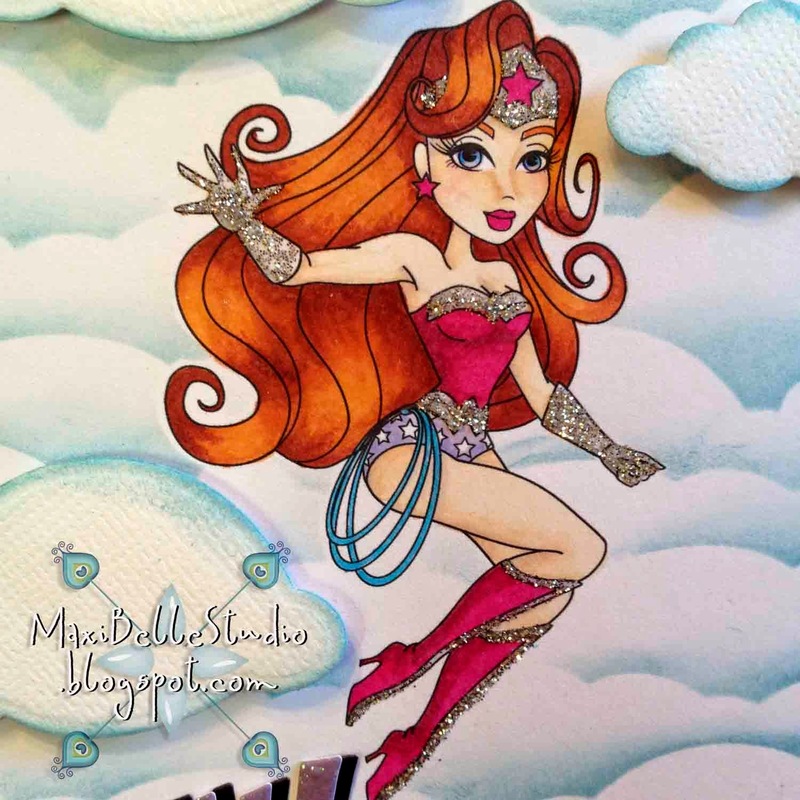 Check out the details of this great stamp 'Wonder Regan' from Sassy Studio Designs. I printed out a simple card sentiment on the computer and die cut it with Spellbinders Classic Oval and also a matt from glitter cardstock with the Spellbinders Classic Scalloped Oval. I used the Memory Box Cityscape Silhouette and die cut it twice, once with some glitter cardstock and once with black to emphasis it and to create a shadow. I did this too with the Die-Versions Pow! sentiment on the cover. It's a very simple technique, but it give so much definition! I hope that I've given you some new inspiration, tips or ideas from this card. I had a great time making it up. Please visit the Dies R Us shop to grab all of these great dies (plus oodles more!!) and if you are like me and live internationally, then postage is FREE on all orders over $50! 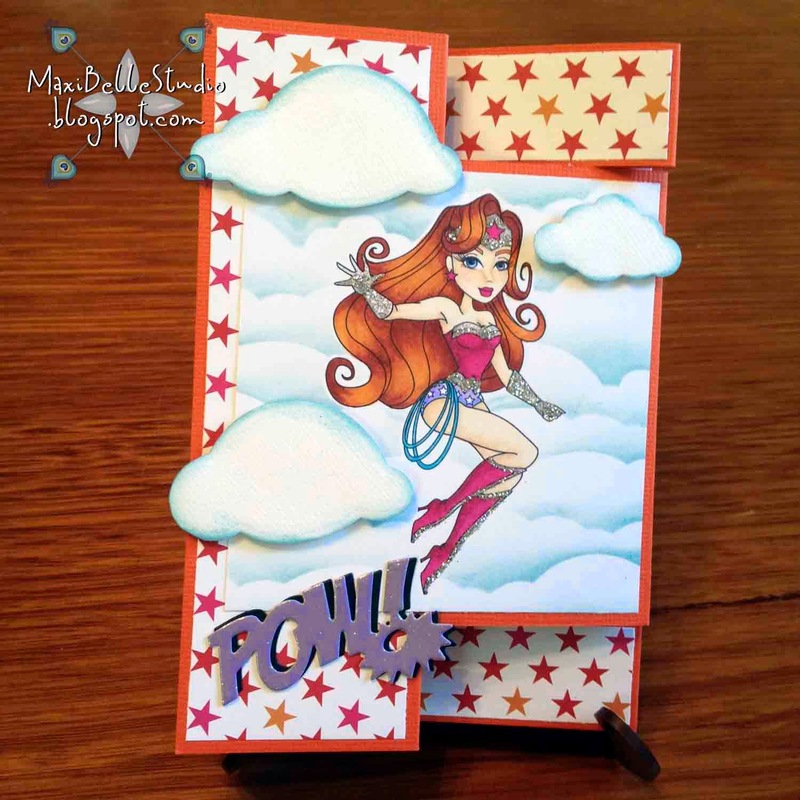 If you are interested on how I created this tri-fold shutter card (with template dimensions) or interested in how I created this masked cloud background then please visit my blog for more details. Wow, Alicia, this is super! Hugs! AWESOME! I love the tri-fold card and you did a fantastic job with this! Any kid would be just over the moon about this card! Super card!! SUperb card ! This is very creative ! As always I love your coloring! And another great design!